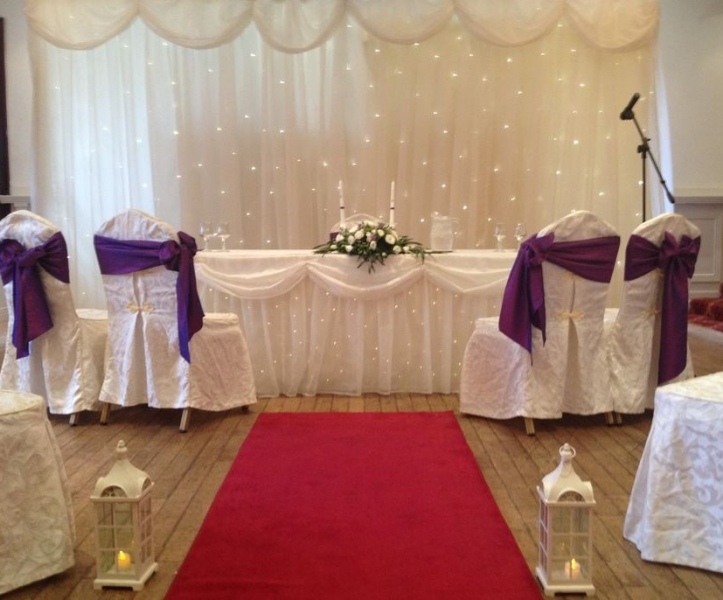 Many happy couples have taken their vows in the Royal Hotel. Whether you choose to have a large celebration, or an intimate family gathering, the Royal Hotel can offer the perfect setting for your civil partnership. You can be sure our meticulous attention to detail will ensure the day of your dreams – from the moment you decide to tie the knot until after the very last dance. Rooms can be dressed with chair covers and bows, fresh flower arrangements, candles and tea-lights, all of which add to the atmosphere. With our wealth of experience and impressive hospitality, we’ll deliver a special day that’s everything you want it to be. We can section off a nice area within our hotel after your civil ceremony. We can offer Prosecco and Canapes from €12 per person. We will have more offers available shortly for you to consider for your special day.